How do I send an open shift to everyone to know if someone is available. A) What is an open shift? An open shift can be created the same way would create a regular shift only it is not assigned to an employee. Instead when you publish an open shift, Agendrix will send a notification to all available employees matching its position. They can apply on it if interested. See the following video on how open shifts work. Open shifts are created in the "Open shifts" line at the top of the scheduler. To see the line, you must check the box "Show open shifts" at the left of the agenda under "Other options". If you are on a small screen, "other options" will be inside the purple funnel top left of the calendar. The only difference with a regular shift is that you can create multiple shifts by adding a quantity. 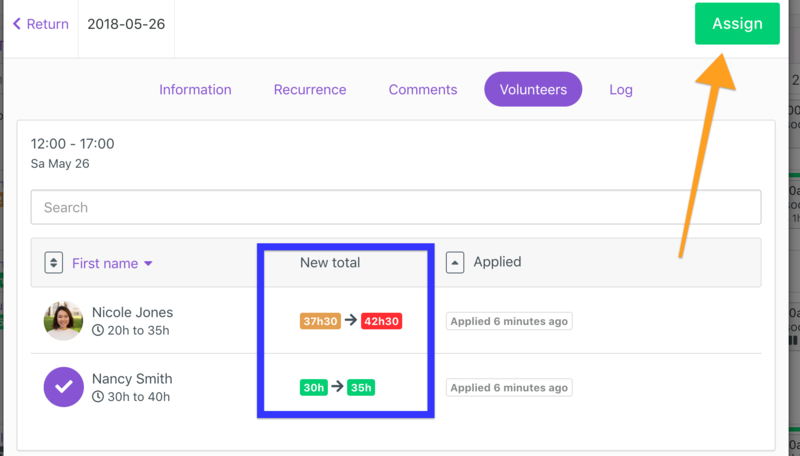 Unless the organization settings are set to "First Arrived, First Served basis" (as mentioned above in the intro), you will need to assign the open shift among volunteers. Each time employees apply on an open shift you will be notified. You can see the impact on weekly hours to avoid overtime-making decisions. (Blue square). 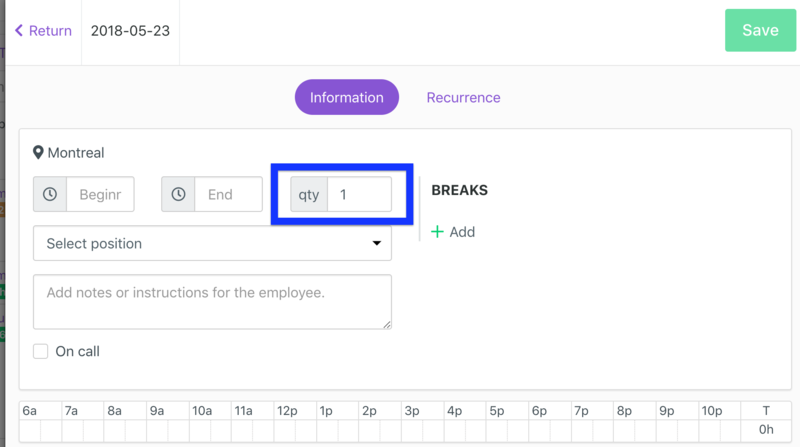 You can change the ordering of the employees to "seniority" above the employee list. PS: All employees who have not been assigned will see their app updated and know that the shift has been filled.